HELP US FIGHT THE BATTLE AGAINST GODLESS EVOLUTION. BECOME A CREATION PARTNER TODAY! Darwinian evolution – as taught in public schools, universities, museums and the media – is destroying the faith of many, especially young people. As the creation vs. evolution battle heats up, don’t you want to do something personally to let people know that evolution is not only scientifically unsound – it’s a full-out attack against God? Now you can … by becoming a Creation Partner. Easy to get started! To become a Creation Partner, simply call us toll-free at 1-800-422-4253 during regular office hours (8 am – 4 pm Mon – Thur and Fri 8:00 am – 1:00 pm Central Time). Or, click here to download the automatic electronic giving plan form (PDF). Creation Partners are key supporters who invest regularly in the work of Creation Moments. By giving monthly, you will help provide a regular source of funds so we can proclaim God’s truth day after day and get through financially lean times. Creation Moments radio broadcasts – so it will continue to be heard on radio stations worldwide. Creation Moments videos – your support will help us get our new videos on TV stations and cable networks here and abroad. 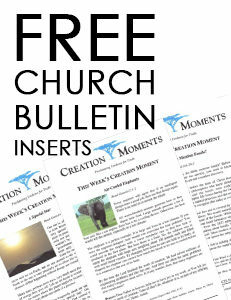 Daily Creation Moments e-mails, podcasts, Church Bulletin Inserts and more. 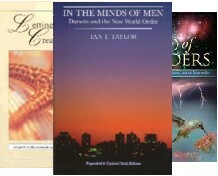 New creation science books – including our newest book, Ian Taylor’s 25 Short Answers to Big Questions About Creation. Plus new avenues of outreach that are in the works. Personal satisfaction. You’ll know every month that you are investing in one of the most important issues facing Christians today. It’s not simply a battle between Darwinism and creationism. It’s nothing less than a battle between atheism and biblical truth. Easy giving options. You can give by credit card or electronic funds transfer (EFT). Both are automatic and convenient, saving you time and postage. And you’ll receive statements showing your gift activity for tax purposes. No pressure. If your circumstances change, you can increase, alter or end your pledge at any time by simply notifying us. 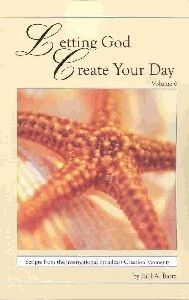 When you become a Creation Partner at the $10 level, we’ll send you Letting God Create Your Day – a book filled with over 250 fascinating scripts from the daily Creation Moments broadcast. When you sign up at the $25 level, we’ll send you Letting God Create Your Day and the brand new DVD God of Wonders – a breathtaking 85-minute presentation featuring Ian Taylor and many other creation science experts. 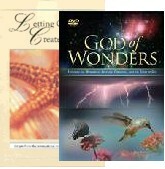 As a special thank-you for signing up at the $50 level, we’ll send you Letting God Create Your Day, the God of Wonders DVD and a copy of Ian Taylor’s 518-page classic work on creation and evolution – In the Minds of Men. Creation Moments, Inc. is a non-profit organization exempt from Federal income tax under Sect. 501 (c) (3) of the I.R.S. Code. All contributions are tax deductible to the extent allowed by current law as no goods or services were received in exchange for your gift.